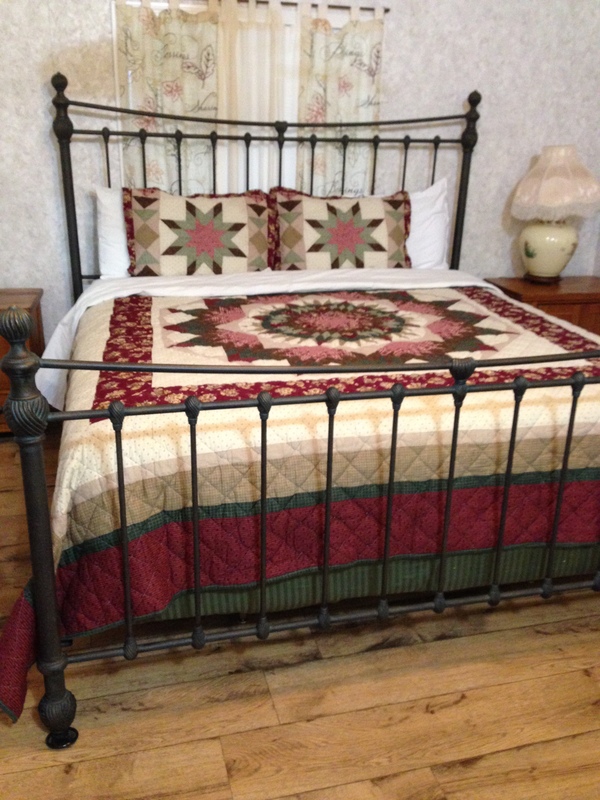 View Our Current Specials for Multiple Night Discounts!! 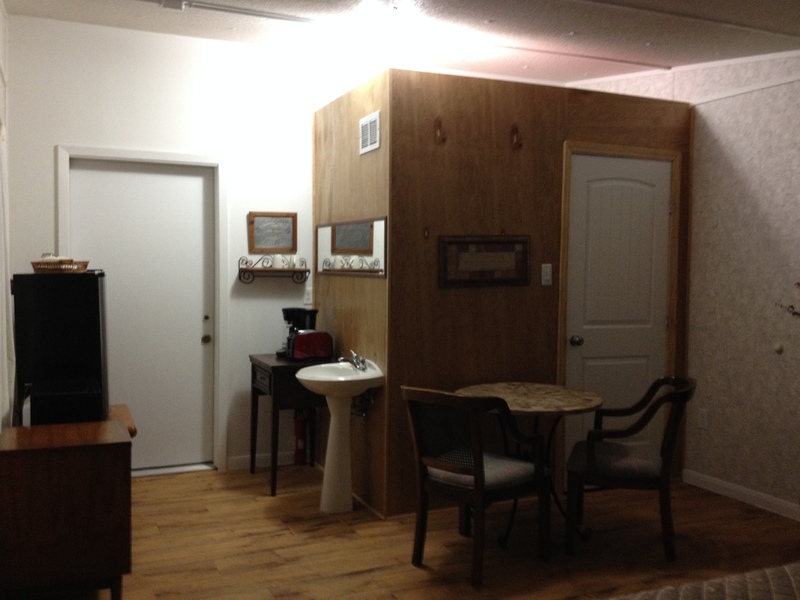 Or Call our office for Last Minute Specials!! 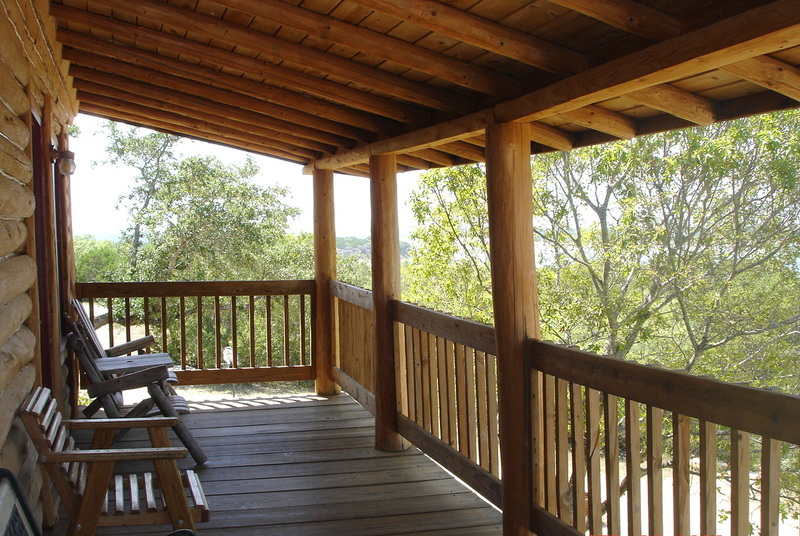 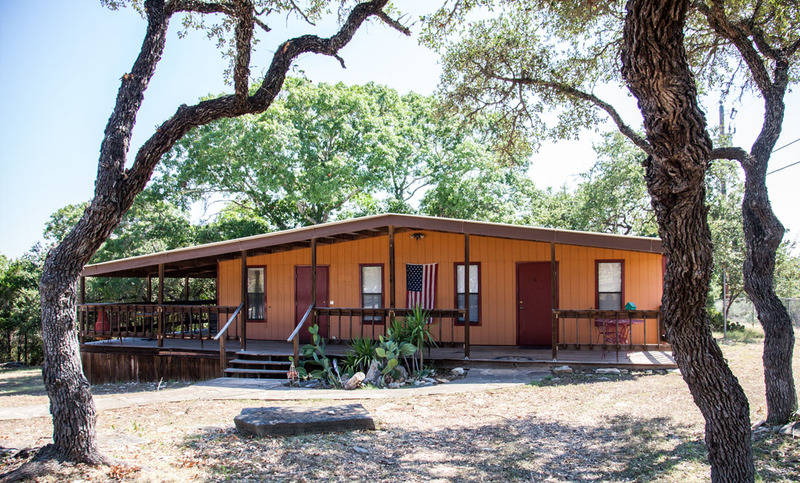 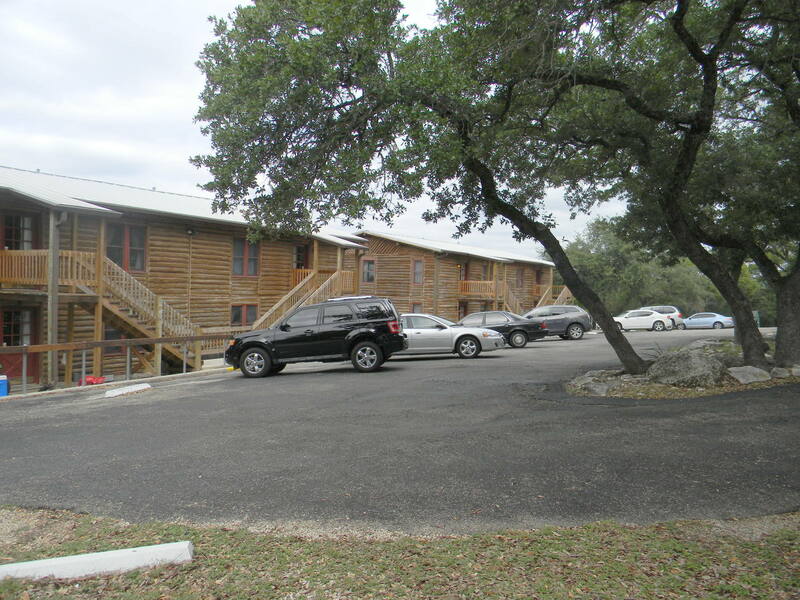 Log Cabins at Jacobs Creek is a unique style of vacation and get-away lodging in a beautiful natural setting overlooking Canyon Lake, Texas. 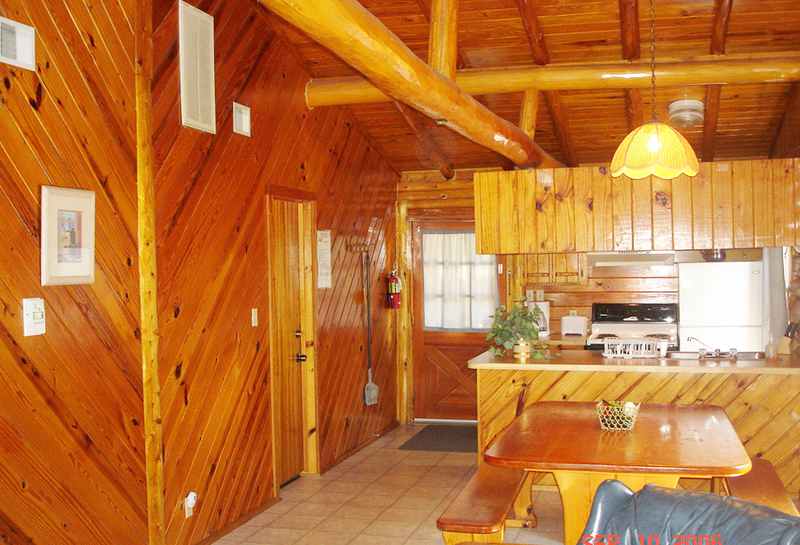 Each unit is constructed of white cedar logs and all wood interior, returning to an era gone by. 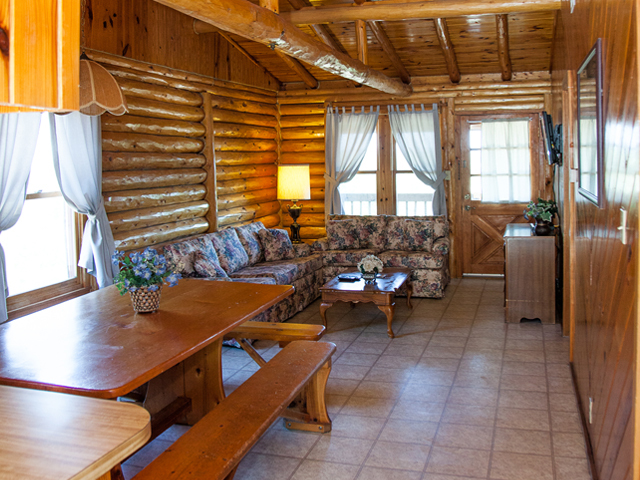 This rustic setting provides for a restful and enjoyable year-round outing. 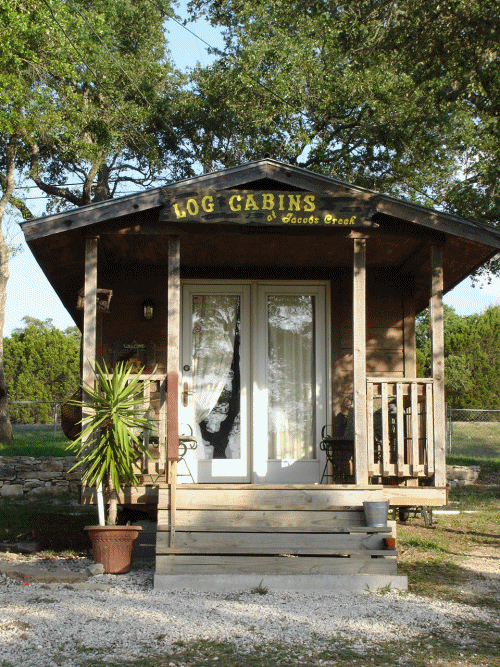 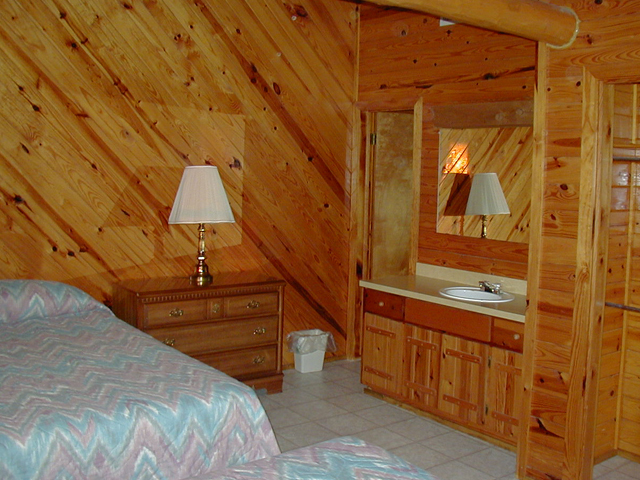 Our cabins are located on almost 5 wooded acres and can comfortably accommodate up to 70 adults. 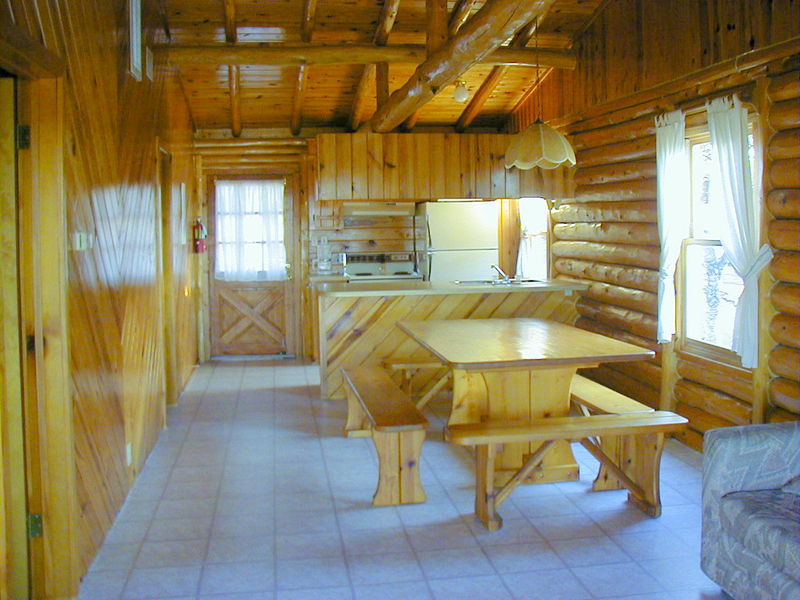 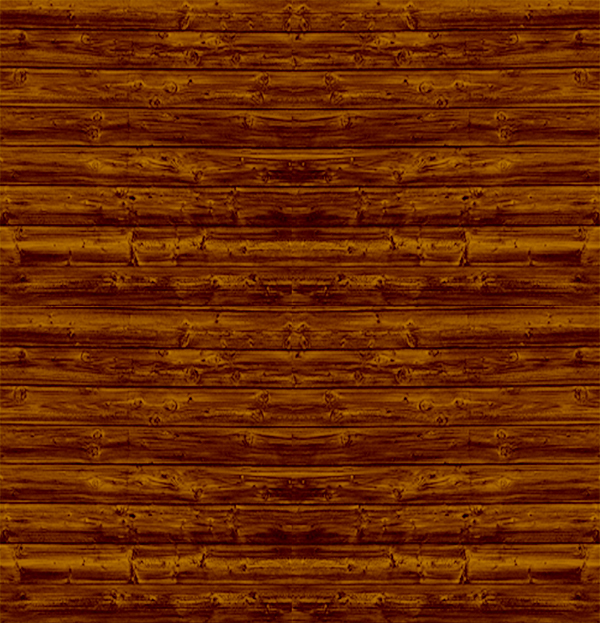 Log Cabins At Jacobs Creek has been the property of choice for many families, church groups and couples alike from all over the U.S., Mexico and Canada for almost 25 years, regardless of time of the year. 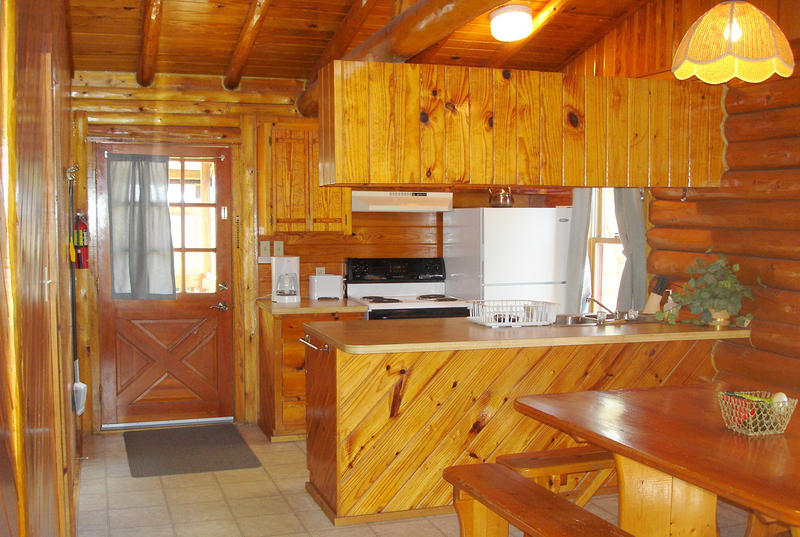 All of the 2-bedroom/2-bathroom fully furnished cabins (with central AC/Heat and covered porch overlooking the lake) have a kitchen with full size stove & full size refrigerator; microwave oven; 10-12 cup coffeemaker; toaster; pots/pans/dishes/silverware; dining area and living room with flat screen TV and DVD player; and 1 king-size bed & 1 queen-size bed in the master bedroom and 2 queen-size beds in secondary bedroom (sheets & pillows are also included). 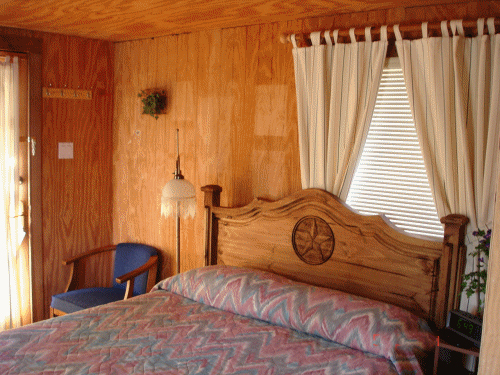 Based on availability; our 2-bedroom/2-bathroom cabins are available as 1-bedroom/1-bath cabins to those traveling in smaller groups (4 people or less) on Monday thru Thursday during the Summer season or any day of the week during Spring, Fall and Winter seasons and at 2 days before your intended day of arrival. 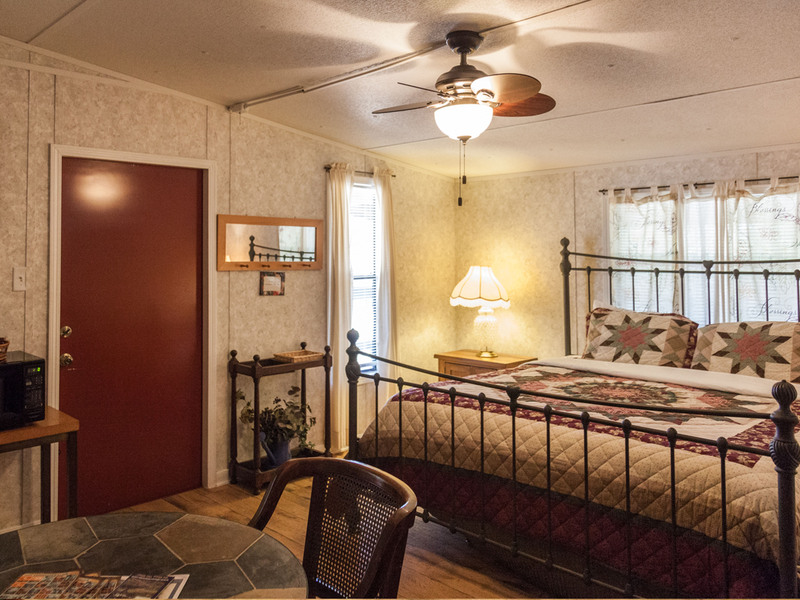 The 1-bedroom/1-bathroom cabin option has all of the amenities of the 2-bedroom/2-bathroom cabin with access to only 1 bedroom & 1 bathroom (and two beds only). 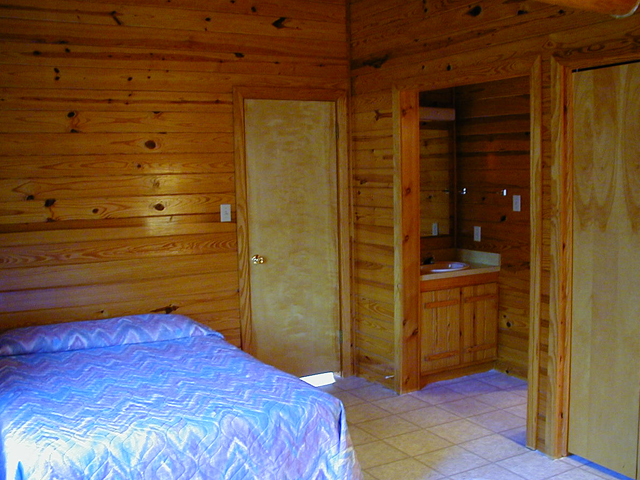 Our "Efficiency Cabins for 2" (with bathroom/shower; window AC unit; and heater provided during the winter and an L-Shape porch) are equipped with a dorm-size fridge; microwave oven; in-room bistro-size table; 10-12 cup coffeemaker (no cooking allowed in these units, but you can still use our BBQ pits); flat-screen TV & DVD player; and 1 king-size bed (sheets & pillows are also included). 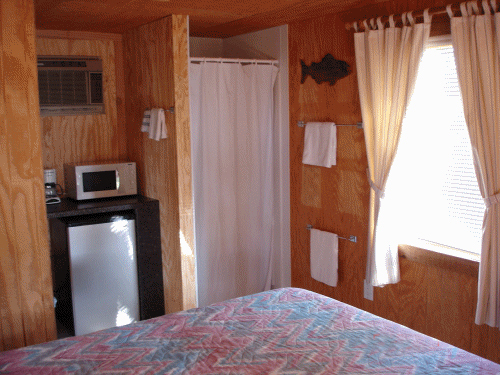 Our stand-alone "tiny-house" type cabin (with window AC unit & heater provided during the winter and a covered porch facing the lake) is equipped with a dorm-size fridge; microwave oven and 10-12 cup coffeemaker (no cooking allowed in this unit; but you can still use our BBQ pits); a small color TV with DVD player; 1 queen-size bed (sheets & pillows are also included).